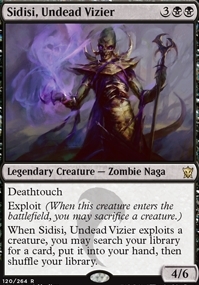 My buy list was pretty concentrated this week, with a lot of money dropped into my belief that Sidisi, Undead Vizier will continue to play a strong role in Standard as a 2-3 in multiple decks heading into summer. With supply rising at present, it could be next fall before this card has a chance to push towards it’s likely $8-10 upper limit, at which point I’ll be looking to trade out or leverage Pucatrade to exit. 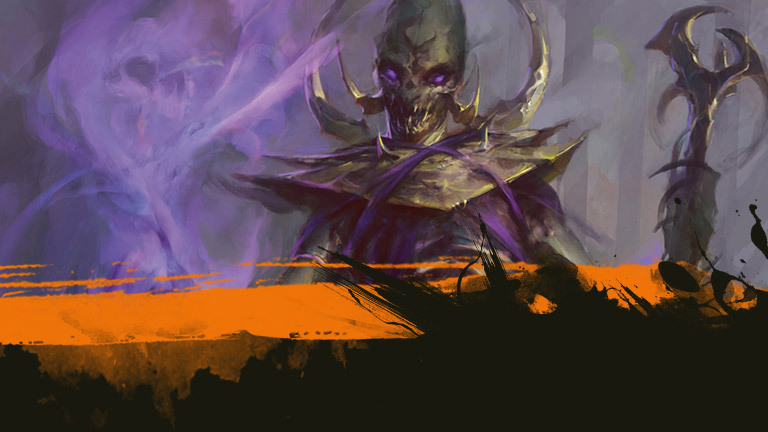 The likely presence of Eldrazi spawn in Return to Zendikar should keep the card relevant into 2016. Snapcaster Mage can easily hit $60-70 this year, so I can’t pass up on a $35 entry point from a friend who chose to reward me for turning him on to the spec 18 months ago. A great example of the value of building community and working karma when pursuing your #mtgfinance objectives. Given that I can out the Snapcasters to Pucatrade for the equivalent of $50 immediately, this is just a solid all-around play. Collected Company took down a mid-sized Modern tournament in Europe during it’s debut last weekend, and my ears perked up at the prospects on foils for this DTK rare card. In a world where power creep on low casting cost creatures is very real, this is a card that just keeps getting better as it finds more interesting aggro, tempo or combo oriented pieces to go searching for. The deck in question was even running a couple of copies of Garza’s Assassin so I snagged a few copies to test with. Ashiok was a sell for me since Sultai has fallen of my radar for Standard and his price is surprisingly high given his pending fall rotation. I actually think Ashiok has potential legs in Modern, so I’ll be looking to re-enter around $5 come October. Note: Points roughly equal USD/100. e.g., 700 points equals $7 in card purchasing value. 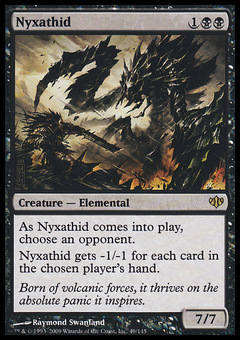 “As noted in my article this week, I believe Nyxathid is a solid example of a spike waiting to happen. The card has casual appeal, minor competitive play, and has never been reprinted. I think non-foils can hit $6-7, and foils could go as high as $15. i want to have these so that I can list them on TCGplayer into future hype. “DP feels like the exact kind of card to break out at a Pro Tour, and at ~30 cents each, it’s low risk and even if it tops out at $3-5, I’m still in at the ground floor. I plan to buy even more soon. “These were 100 percent Cube pickups, but if you read my introductory article, you know that I carefully consider all my pickups, even ones to play with. Dragon Hunter and Zurgo Bellstriker are both examples of me not being patient, as they will both likely be available for about half these prices at some point in the next year or two. I sucked it up because I can never have enough one-drops in white or red, and these ones are easy includes. Tasigur, the Golden Fang has proven its power in Standard and Modern, and I would not be surprised to start seeing it more often in Legacy. It’s only a rare, but it’s from a small set, so even its floor is a little lower, it can’t be that much lower. I would start stockpiling these if they dropped to $6 or lower. Conspiracy wasn’t hugely opened, so Dack’s Duplicate will probably never go lower, even if it never necessarily goes up from here. I’m going to try it out over Prophetic Bolt. Haste on a clone is pretty big game, and there’s even more upside here, so I’m hoping for big things. Nothing more than pricing too good to pass up, though this is after a $50.00 coupon I had. Eye of Ugin should pick up, and seems to be doing so already, with BfZ and I’m slowly acquiring them, along with Abrupt Decay due to play. The Conspiracy I bought the day before Corbin’s article and at this price I don’t know yet whether to save it or crack it. 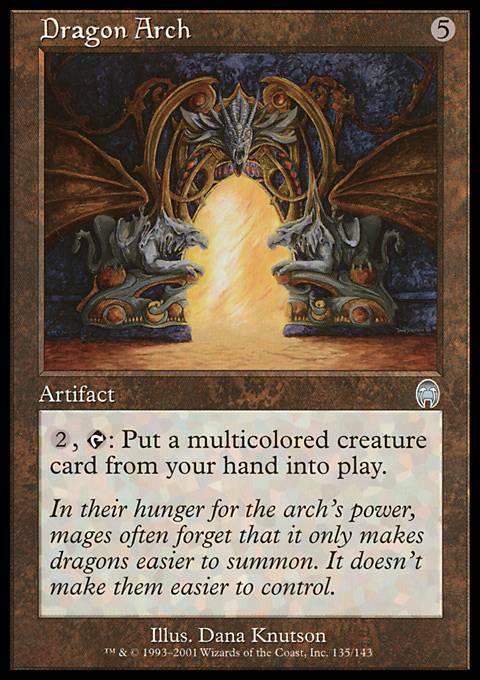 Just wondering something about Snapecaster : I’ve been seeing a lot of demand on my playset these few days; people offering up to 180€ (sending fees including), which would mean something around a 175€ profit for these four cards. How would you deal with that? Do you think it is likely to go even higher, and I should definitely wait for it, or should I actually sell now, because it’s unlikely that the margin I’d get from that will be really higher? Quick precision : I do not currently need the money , and the idea is not to reinvest the money I’d gain from this sell into MTG. If you aren’t playing and you don’t need the money, you can likely wait to see how the hype around Modern Masters 2 release in June effects the price of Snapcaster Mage before deciding what to do. Thank you for your input, I guess I’ll wait a bit and unload them later. Thanks again for the advice, and for writting these amazing articles!